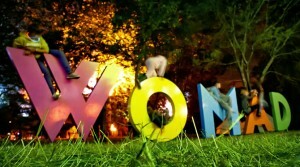 Breaking news… We’re very excited to announce that we’ve been asked to play at this year’s WOMAD festival in July! We’ll be playing on the BBC Radio 3 Stage, set in Charlton Park’s picturesque Arboretum, on Friday 26th July from 16:00. If you’re at the festival, come along and say hello! If you’re not at the festival, get your tickets here! We’ve had a fantastic response to the new album since its launch in May! It has been album of the week on Celtic Music Radio and Radio Nan Gaidheal, had a feature on Bruce Macgregor’s Travelling Folk show on BBC Radio Scotland, been played on Mark Radcliffe’s BBC Radio 2 Folk Show, been played on various other radio including BBC Radio Ulster, BBC Radio Shropshire, BBC Radio Hereford & Worcester, Radio Cymru, Folk Radio UK, had a live session on BBC Radio Wales… It’s also had some great reviews in the Telegraph, Financial Times, The Living Tradition, English Dance & Song Magazine, R2, Songlines. So keep your ears open when listening to the radio or eyes open when reading your favourite magazine! The countdown has begun for our UK album launch! The official launch date is set for the 20th May, when the album will be available at all the usual online and high street retailers. We will be touring various parts of the UK to coincide with this. So check out the gigs page, tell all your friends, and come to see us! We’re also giving away a preview track ‘She Lhong Honnick Mee‘ completely FREE! 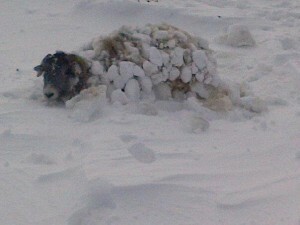 In light of the recent heavy snow across the UK and the Isle of Man, we’re giving you the chance to download a free copy of the Manx traditional song ‘Ny Kirree fo Niaghtey’ (‘Sheep Under the Snow’), and donate money towards the Isle of Man Farmers Benevolent Trust. UK Album Launch: 20th May! Plans are afoot for the UK launch of our debut album. The official launch date is the 20th May, where the album will be available throughout all the usual high street and online outlets, including Amazon and iTunes. 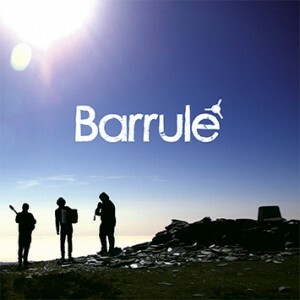 To coincide with the release, Barrule will be touring the various parts of the UK. Details to be announced very soon! Although our debut album isn’t due to be officially released in the UK until 2013, there was a sneak preview aired on BBC Radio 3 last night on Mary Ann Kennedy’s World on 3 programme, where she played ‘She Lhong Honnick Mee’ featuring Greg Joughin on vocals. If you missed out on receiving our October Newsletter, you can take a peek here. It includes news of our new promo video and the upcoming festival appearances for 2012. 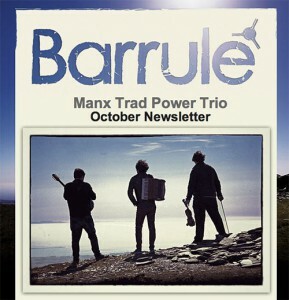 To receive future newsletters via email, why not sign up on the home page?! It’s only a few days until Barrule head off to Brittany for the 10-day interceltic festival in Lorient. The guys will be joining over 4,500 other artists from around the celtic world and further afield for 10 days of music making in venues across the city. If you’re in the area during the first few weeks of August, check out the gigs page to see where you can catch them performing! Following a creative couple of months in the studio, we are pleased to announce the Isle of Man launch night for our self-titled debut album ‘Barrule’. We will be performing tracks from the album live and inviting some of the guest artists who appeared on it to join us on stage. The launch will be held at the Peel Centenary Centre on Saturday the 18th August, starting at 7:30pm. This will be your first opportunity to get a copy of this new album of Manx tunes and songs, funded by the Manx Heritage Foundation, and to celebrate there will be a special launch price for ticket holders on the evening. ….and as if all that wasn’t enough, there will be complimentary homemade cakes in the interval, huzzah! 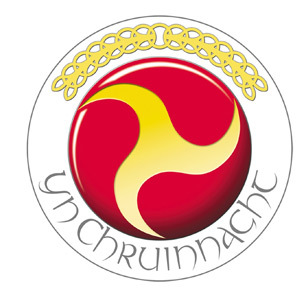 If you haven’t heard already, there’s a cracking festival on the Isle of Man in July called Yn Chruinnaght. During this year’s festival we’ll be lucky enough to provide support for the legendary Scottish group Blazin’ Fiddles! It’s going to be an excellent night, so if you’re on the Isle of Man in July, do make sure to come along. In fact, if you’re not on the Isle of Man during July, get your boat booked and come along!